Key Difference: The main difference between jihad and terrorism is that while jihad is a religious ideology, it has been misconstrued and wrongly utilized to support terrorism. 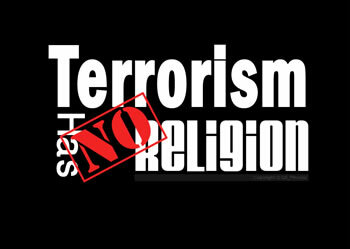 Terrorism is an unethical practice that may or may not have anything to do with religion. Instead, politics, religion, or personal ideology can be used as an excuse to justify terrorism. Today, the terms Jihad and Terrorism are commonly used interchangeably. The scenario that they are they same is basically propaganda utilized by the media and some extremist groups. The truth is that jihad is completely different and it does not condone terrorism. Jihad is an important religious duty for Muslims. There are two parts to ‘jihad’ or struggle: the "greater jihad" and the "lesser jihad". The greater jihad is an internal struggle, an inner spiritual struggle to follow the path of God and to live morally, as well as to improve oneself. The lesser jihad is the external struggle, an outer physical struggle against the enemies of Islam, as well as to protect one’s country, religion, family, or to save someone else’s life. This struggle can be violent or non-violent. It can just be defending your religion is a discussion, or it can mean actually taking up arms against people who are attacking the believers. The representation of outer physical struggle is what is problematic. The majority of Muslims don’t actually believe that non-believers are a treat to Islam, nor do they believe that they are attacking the believers. However, sadly a few extremist groups do believe this. According to these groups, other religions, westernization, and modernization all pose a risk to Islam. In fact, modern Muslims, and moderate Islamists also pose a threat to Islam, because they are aligning themselves with the “infidels”. As the traditional definition of jihad states that it is allowed to take up arms against enemies of Islam, in fact it is recommended, these extremist groups claim that they are fighting for their religion, defending their religion, etc. However, in reality they are just using the violence to promote their own agenda, for which they have turned to terrorism. Terrorism is basically any violent acts that have been committed with the intention of scaring people and of creating fear. Terrorism is often done to advance an agenda, which could be religious, political, or ideological in nature. It includes acts of unlawful violence and war. Terrorism often targets the general public, or non-combatants, which can include neutral military personnel. This basically means that terrorists are more likely to attack public areas rather than military related installations. In the international community, terrorism has no legally binding, criminal law definition. Hence, any violent act committed with intention of creating fear can be considered as terrorism, whether it is on an individual level or on a national one. The main difference between jihad and terrorism is that while jihad is a religious ideology, it has been misconstrued and wrongly utilized to support terrorism. Terrorism is an unethical practice that may or may not have anything to do with religion. Instead, politics, religion, or personal ideology can be used as an excuse to justify terrorism. However, terrorism is just a selfish inhumane practice that results in the murder to innocents for personal and selfish gain. Jihad is a duty that may be fulfilled in four ways: by the heart, the tongue, the hand, or the sword. The purpose is to stay true to Islam, and walk in the path of God, as well as to protect believers from non-believers. Some extremist groups use jihad a way to condone terrorism. A way to use violence and terror to scare people to promote their own political agenda. It has been used throughout history by political organizations of both the left and the right, by nationalist and ethnic groups, and by revolutionaries. A person engaged in jihad is called a mujahid, the plural of which is mujahideen. A person engaged in terrorism is called a terrorist, the plural of which is terrorists. I am a Moslem. And I was very sad because a lot of misunderstanding of the West against Islam, including in interpreting the meaning of Jihad. 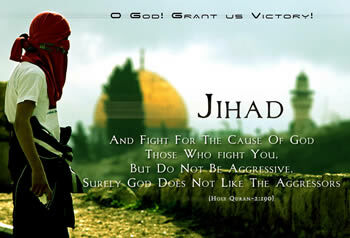 For us, jihad has a very broad meaning, which is any good deeds that we do is jihad. For example, to teach reading and writing to our children, work for a decent income, feeding the poor, to defend ourselves from the crimes committed by others against our families, and others. Fought to defend ourselves is also included in the meaning of jihad, but it's definitely a different meaning to the word "terrorist". Hopefully it can reduce misunderstanding of the Jihad. Thank you.